Takes digital pictures of the back of the eye to evaluate the health of the retina (ie macular degeneration). Measures the shape of the eye to better fit contact lenses and diagnose eye disease. Measures the thickness of the surface of the eye and helps to diagnose glaucoma and helps deter-mine good candidates for laser procedures. 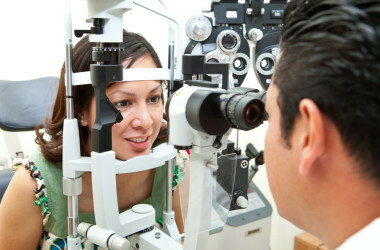 Checks peripheral vision to diagnose glaucoma and neurological conditions. Measures eye pressure without the need for drops. Measures vision without any verbal res-ponses and helps in examining young children and communicatively handicapped individuals. A device that mimics and helps measure the eye strain induced by computer monitors.